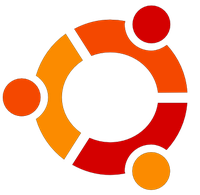 Thanks to my collegue Gaël Pegliasco, I successfully installed Oracle 10g Full Edition on my Ubuntu Karmic 9.10 (64 bits). We will see now how to install Tora, an open-source multi-platform database management GUI that supports accessing most of the common database platforms in use, including Oracle. See this wonderfull howto written by Gaël Pegliasco which explains how to install Oracle 10g 64 bits. Now we assume your ORACLE_HOME is "/opt/oracle/oracle/product/10.2.0/db_1". IMPORTANT: your user must have access to the ORACLE_HOME files. Thanks to Brad Hudson ! You should see in the logs: "checking for oracle... yes"